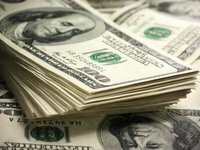 Ukraine plans to place 10-year eurobonds in the U.S. dollars in the indicative amount, a source in bank circles has told Interfax. The borrower could also consider the placement of five-year bonds in addition to the 10-year securities. Meetings with investors will take place in London and the United States. The road show will start on October 23. BNP Paribas, Citi, Goldman Sachs, and J.P. Morgan have been appointed the organizers of the deals.